High-volume injection of Ozone for sanitizing water. 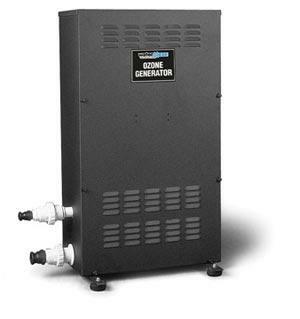 Our ozone generator can serve as a stand-alone ozone water treatment system for sanitizing industrial water. The self-contained Water Maze Ozone Generator is ideal as a stand alone system for ridding water of odor and bacteria. Ozone (03) works up to 3000 times faster than chlorine and other sanitizers, in killing bacteria without creating harmful byproducts. It also acts as a deodorizer.